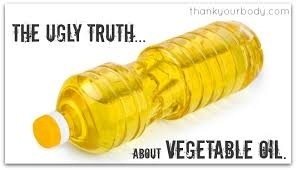 Pro-inflammatory Agent: Common vegetable cooking oils used in many homes and restaurants have very high omega-6 fatty acids and dismally low omega-3 fats. A diet consisting of a highly imbalanced omega-6 to omega-3 ratio promotes inflammation and breeds inflammatory diseases like heart disease and cancer. Find them in: Polyunsaturated vegetable oils such as grape seed, cottonseed, safflower, corn and sunflower oils. These industrial vegetable oils are also commonly used to prepare most processed foods and takeaways. 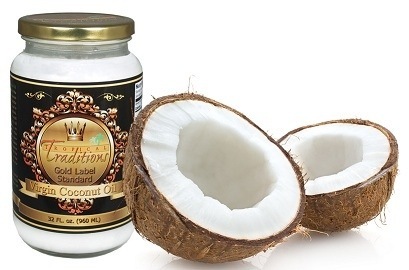 Inflammation-dousing Substitute: Replace your omega-6-saturated cooking oils with macadamia oil, coconut oil. Other cooking oils with a more balanced omega-6 to omega-3 fatty acids ratio. Macadamia oil for Instance, has an almost one-to-one ratio of omega-6:3 fats. it’s also rich in oleic acid, a heart-healthy, monounsaturated fatty acid.